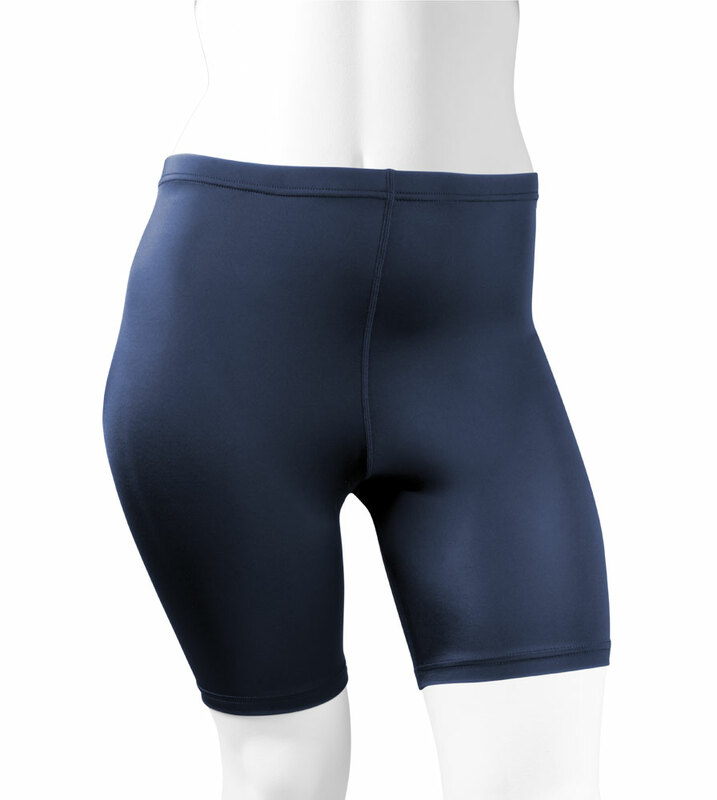 Treat yourself to comfort and freedom of movement with our Women's Plus Size Classic Compression Workout Shorts. 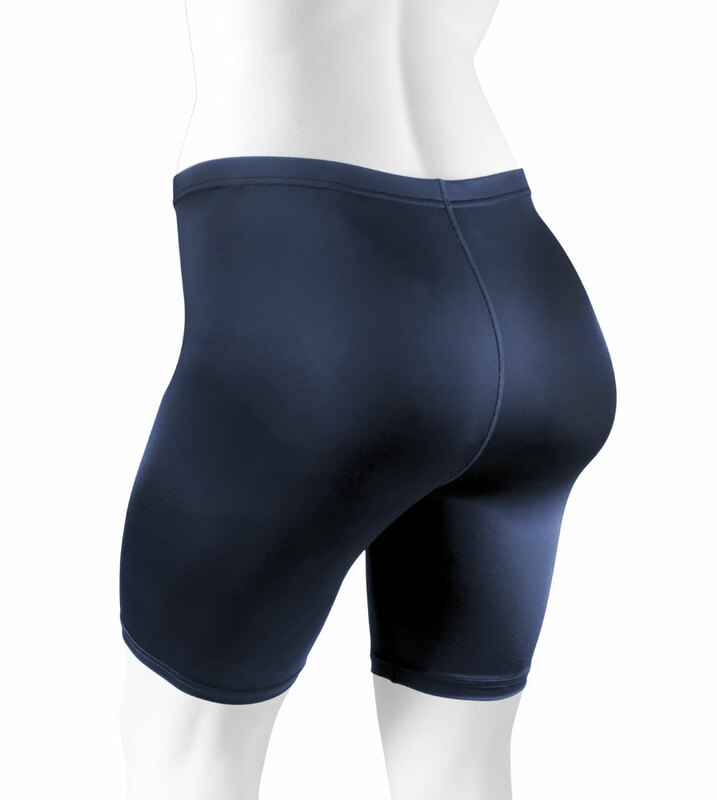 These wonderful shorts are so comfortable they will feel like your second skin. You will fall in love with them as soon as you start wearing them. They are made of the highest quality tricot knit microfiber that will not disintegrate like the cheap stuff sold in stores. These shorts are guaranteed to provide years of comfort and performance for your active lifestyle. This short has a two panel, streamlined construction. It has soft 3/4 inch elastic waist and cover-stitched leg hems that are bar-tacked for longest life. Shorts will not ride up. Made from buttery soft, high quality tricot knit that has four way stretching micro-fibers made of nylon and spandex. We make your fitness routine more comfortable. Very High Quality! Also Available as a Workout Capri Tight! You Will Fall In Love With These Shorts As Soon As You Put Them On! The surface pressure of the Women's Classic Compression Workout Shorts accelerates blood flow to reduce the lactic acid build up that causes muscle soreness. Increases oxygen delivery to working muscles enhances blood circulation making an easier recovery from exercise (reducing delayed onset soreness). Women's Plus Size Classic Padded Shorts are also available with a crotch pad for amazingly comfortable pants while riding your bicycle! * Plus Women's Workout Short is Made in the U.S.A.
Get Your Workout Shorts Now and Enjoy Them for Years! Shorts do not stay down on your leg. Tend to slide up your leg when riding a bike. Excellent! Great fit & didn't slide while wearing them. The only reason I wouldn't order more is due to the expense.After spending Â£9.95 on postage I'd a further postage & custom Â£14.02 plus a handling fee charge of royal mail of Â£8.00 the item proved expensive to say the least. Just right fit and support! It's hard to order online for plus sizes, I wear 22/24, these are true to size and fit perfectly. The waist and hems stay in place, so comfortable in hot weather. The fabric is lightweight yet supportive and not see through. I'll be buying again. After reading other reviews I bought these to swim in. They are great. They don't roll up, they are comfortable. For being a fat old lady I feel better in this than I would in briefs. I'm sure riding a bike doing yoga they would also be great. As for the company they were also great, I would recommend them highly. Thanks so much. I bought these compression shorts to wear with a swim tee shirt instead of a traditional swimming suit. Their are comfortable, provide good coverage, and dry quickly. This combination beats a swim suit any day. They are holding up great to the chlorine and numerous washings. This is a great product and I highly recommend them. I also love the little bicycle key ring included with my order. Thanks. The don't roll up my legs and hold up very well. I really love this product. This is my second time buying a pair of compression workout shorts. They are really long lasting and fit comfortable. My first pair lasted for about 3-4 years. Well made. Will be ordering more. This were just what I needed for "chub rub". They are very comfortable, stay in place, and easy to put on/off. Love these shorts! I'm using them under skirts and dresses to prevent chub rub. They are definitely getting the job done. I have trouble with shape wear becoming threadbare and getting holes. These are made for exercise, so they should hold up over time. The material seems strong. Much better than nylons/shape wear/etc. Highly recommend! I did not know what to expect as I have never ordered these on line. I was very pleased, the size and material were perfect and the fit is excellent. Totally would recommend for anyone. Chafing is totally gone. Thank you!!! I bought these to wear under my skirt for a school play. They worked really well! I love these shorts, best I've found to wear under my cosplays at convention to beat the horrible chaffing. (Texas Heat + sweat = horrible chaffing). they don't roll or scoot up your legs when you move, soft, comfortable, and honestly just a good investment for anyone for workouts, or like me, cosplay. Good item, very comfortable, but larger than expected. I have had several pairs of these shorts that I have used for the past several years to run in. I need the extra support---compression and to prevent chub rub. I couldn't recommend them more. These shorts do not ride up your legs and are very comfortable. I have 3 pair...I wear them at the gym and riding my bike.... Highly recommend! I am very happy with these shorts. They are well made and have a good fit. the shorts feel good and look good and are exactly as described. I absolutely love this shorts! They don't ride up...best pair of shorts for curvy girls. I use them to walk and under thin sundresses. I am purchasing them in all colors. I use them for compression shorts have some health issues with water building up in my legs and they work my legs have not been retaining much if any more water while I wear them !! I plan to use the shorts for casual recreation and swimming. They are very well made. I ordered a size larger but it wasn't necessary. They are extremely well made so I know I will enjoy wearing them. I wish they were less expensive but that would be my only negative comment. wear forever and so comfortable. My first dealing with ATD. Initially I ordered an incorrect size. No problem with the return/exchange. It was done in a very timely manner - especially since it was during the Christmas holidays. Packaging great - will do business with them again! It is very unusual to find such an exceptional fit for a large person. Excellent!